Not only is Victor Martinez retiring as a Tiger, he wants to ensure his final MLB game is in Detroit. 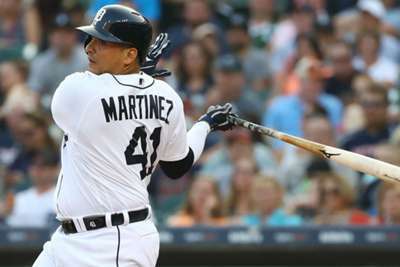 Martinez told reporters Saturday's game against the Kansas City Royals at Comerica Park will be the last of his career. He will travel with the team for their season-ending road trip to Minnesota and Milwaukee next week but does not plan to play. The veteran designated hitter turns 40 in December and is wrapping up a four-year, $68million contract. Martinez told reporters last month that this season likely would be his last. Martinez signed with the Indians as an amateur free agent out of Venezuela in 1996 and made his big-league debut with Cleveland in 2002. The Indians sent him to Boston at the July 2009 trade deadline and he also played there the following year before signing with the Tigers as a free agent in November 2010. Entering the final two games of his career, Martinez has 246 home runs and a .295/.360/.455 slash line. He was selected to the All-Star team five times, making the American League (AL) team as a member of the Indians, Red Sox and Tigers.